The group has gained attention across the globe for their cute style mixed with heavy metal influences and made a debut with a single “Nippon Manju” released in 2015. Its MV on YouTube has over 23 million views and they experienced sold out shows in New York, Los Angeles and Cologne. Their first one-man show in Japan also ended up in a success. Renewing their name as “The Idol Formerly Known As LADYBABY”, the unit entered into a new chapter. They made their major debut with a new single CD “Sanpai! Gosyuin girl☆” and released 3 singles. They were outstanding among the idol groups and left a strong impact. 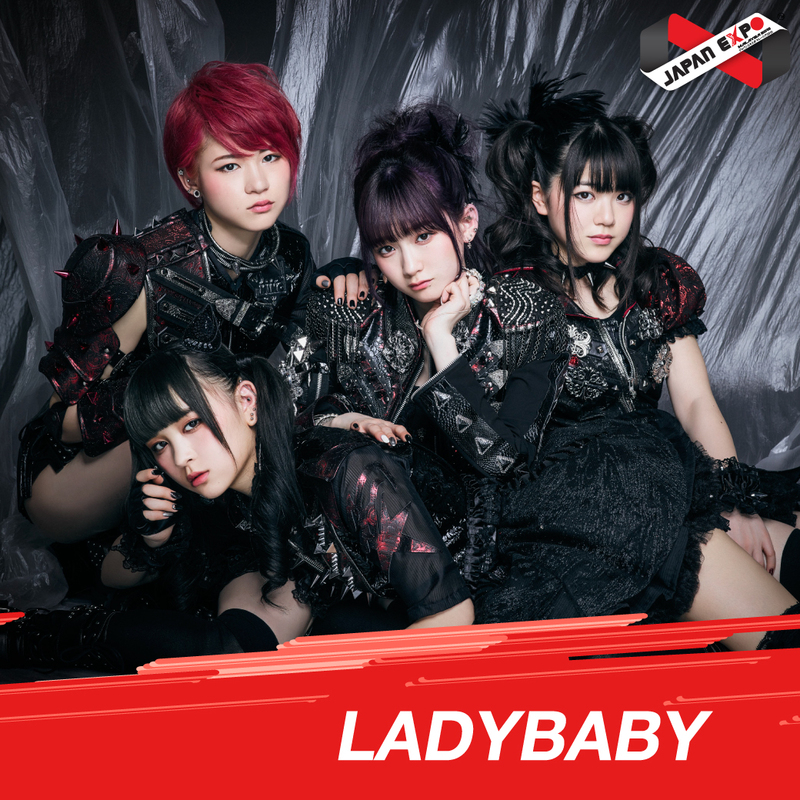 The Idol Formerly Known As LADYBABY renewed the name to LADYBABY again in 2018 and the current group consists of Rie Kaneko, who is an original member, Nana Ikeda, who also works as a model, Emily Arima and Fuka Karasawa, who won the audition.